EVERY SCOUT DESERVES A TRAINED LEADER!! The Capitol District, the Baltimore Area Council, and the BSA National Council offered a very wide and varied array of training programs. This is Scouting and Fast Start must be completed online before attending Leader Specific Training! IOLS is a two day course. Working as patrols, this hands-on course provides adult leaders the practical outdoor skills they need to lead Scouts in the out-of-doors. Upon completion, leaders should feel comfortable teaching Scouts the basic skills required to obtain the First Class rank. 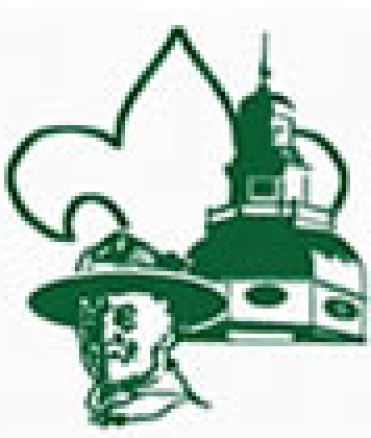 This course is required of all direct contact leaders registered in Boy Scout Troops and Varsity Scout Teams, in order to wear the Trained patch. It is also required for Venturing Adult Leaders if there Crew has an outdoor activity focus. BALOO is a one day courses designed as an introduction to the Cub Scout outdoor program for those leaders who are interested in adding a camping component to their Pack activities. BSA's Cub Scout level camping policies will be taught along with the necessary tools to help units carry out a successful camping experience. Every Scout Deserves a Trained Leader! Every Leader deserves training so s/he can successfully deliver the scouting program! Cub Scout Leaders are considered trained when they have completed Youth Protection, New Leader Essentials, and Cub Scout Leader Specific training for their position. Scoutmasters and Assistant Scoutmasters are considered trained when they have completed Youth Protection, New Leader Essentials, Scoutmaster Specific Training, and Introduction to Outdoor Leader Skills. Pack or Troop Committee Members are considered trained when they have completed Youth Protection, New Leader Essentials, and Committee Specific Training. The next step in training for adult leaders who have completed Fast Start Training. New Leader Essentials is an introductory session that highlights the values, aims, history, funding, and methods of Scouting. It addresses how these aims and methods are reached in an age-appropriate style within Cub Scouting, Boy Scouting, Varsity Scouting, and Venturing. Videos, discussions, and hands-on reinforcement are presented during the 90-minute training session. Ideally, all unit-based volunteers-Cub Scout, Boy Scout, Varsity Scout, and Venturing leaders-take this session at the same time, so they understand that they are all striving for the same results with the youth they serve. Each leader completes New Leader Essentials training only once. Outdoor skills are critical to the success of the Scouting program. Training in outdoor skills is required before taking scouts on outings. Introduction to Outdoor Leader Skills will provide Boy Scout leaders with the basic outdoor skills information needed to start and guide a program the right way. Completion of this course is the required outdoor training for all Scoutmasters and assistant Scoutmasters. The skills taught are based on the outdoor skills found in The Boy Scout Handbook. The course is normally a day and a half long and conducted at a local scout camp on a weekend. Basic Adult Leader Outdoor Orientation for Cub Scout leaders is a one-day training event that introduces participants to the skills needed to plan and conduct Pack outdoor activities, particularly pack camping. This training is required for any adult who is in charge of planning a pack campout, and it is required that at least one adult per pack complete BALOO training in order to apply for tour permits. BALOO training is offered by individual districts. Outdoor Webelos Leader Training is for all Webelos leaders. This training course covers the skills & resources needed to teach the outdoor activity badges and helps to provide good & safe outdoor experiences. Completion of this training is required before a Webelos den can go on a campout. This is district-scheduled training.